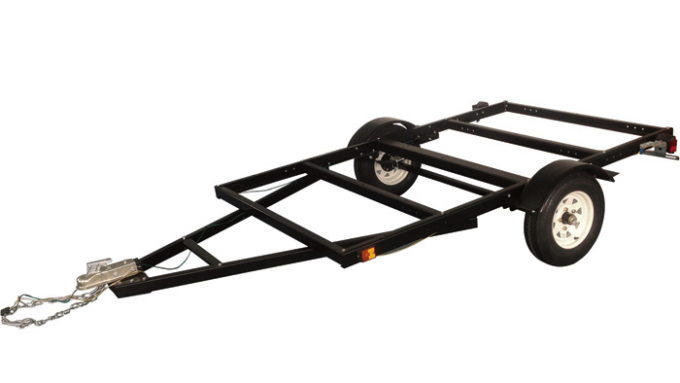 There’s certainly more to purchasing a motorcycle trailer than simply measuring a motorbike’s dimensions and shelling out the funds. A given rider may own any number of motorcycles from a variety of different genres. 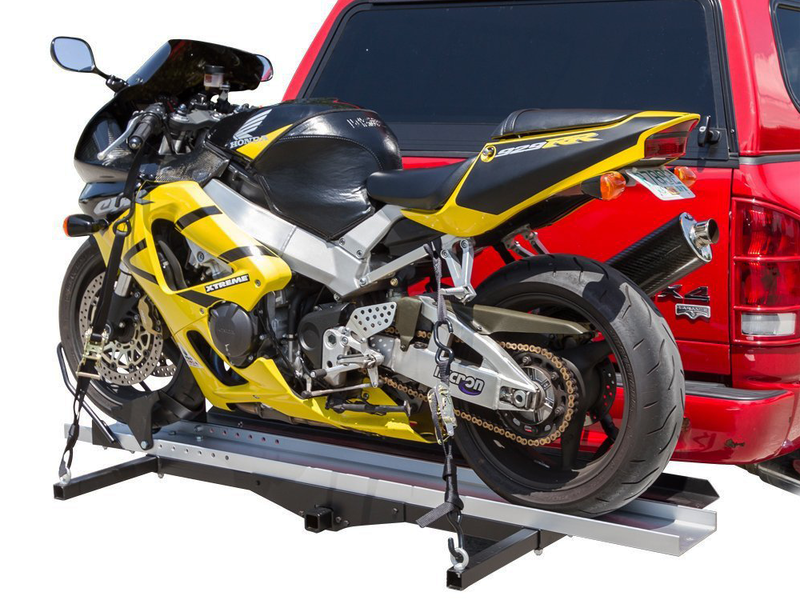 Where one motorcycle enthusiast may need a multipurpose toy hauler, the minimal mindset might get by with a single rail above their vehicle’s bumper. This points to yet another concern, namely the towing capacity of the vehicle that’s doing the hauling. 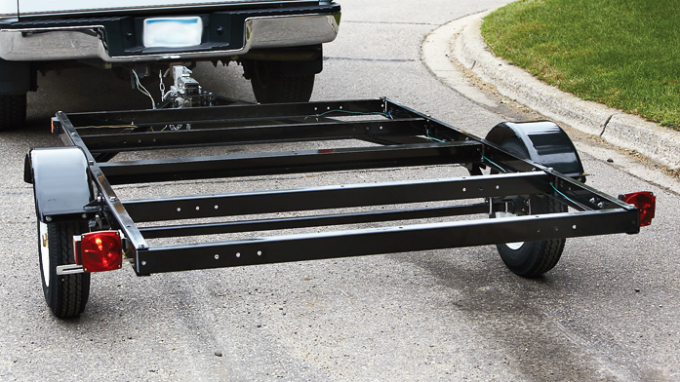 In this post we look at five motorcycle trailer types which best represent their intended demographic. Balancing total cost against manufacturing quality, some lean in a more extravagant direction but none supersede safety. 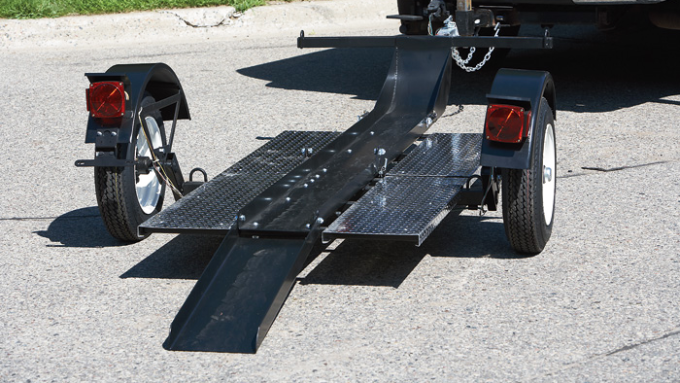 All are pull-behind motorcycle trailers (light kit included), so you’ll want to know the full extent of your vehicle’s towing capabilities before deciding which one’s right for you. 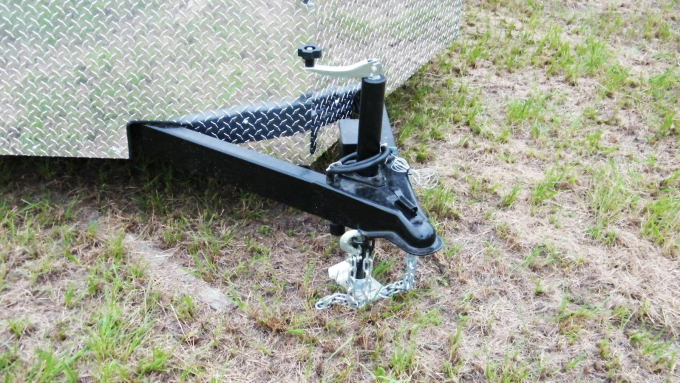 Finding a used motorcycle trailer for sale brings about an entirely different set of concerns. Licensing/certification, metallurgical condition (rust, be it visible or hidden) and wheel bearings are only a few of the issues buyers must explore. 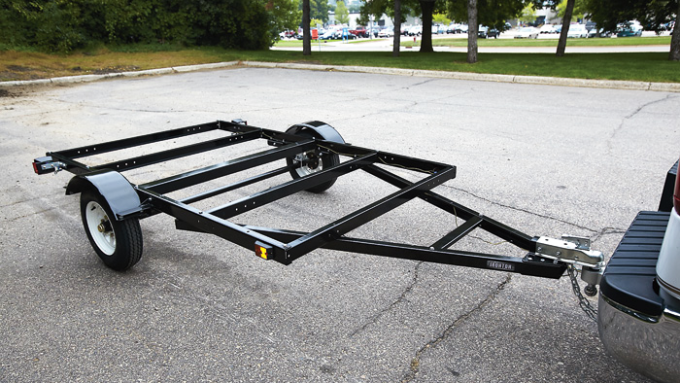 New or used, whichever motorcycle trailer you invest in, be prepared to maintain it! Keeping things operable isn’t all that time consuming. Neglect, however, might have disastrous results. 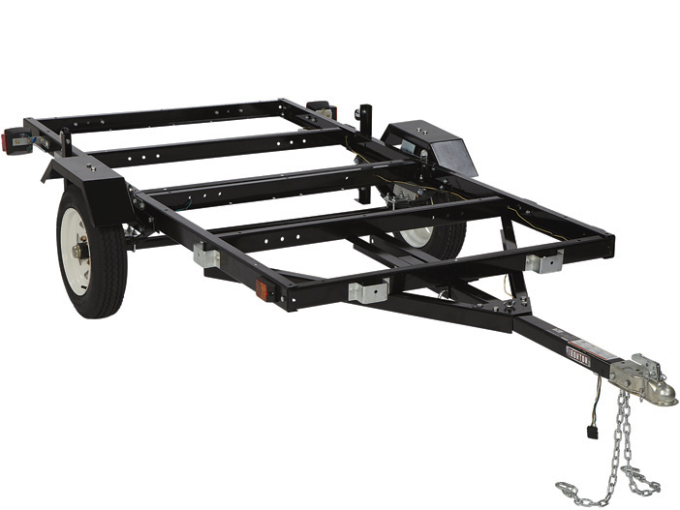 Though the first platform we’re looking at is more expensive, enclosed motorcycle trailers are special in that they provide many otherwise inaccessible possibilities. 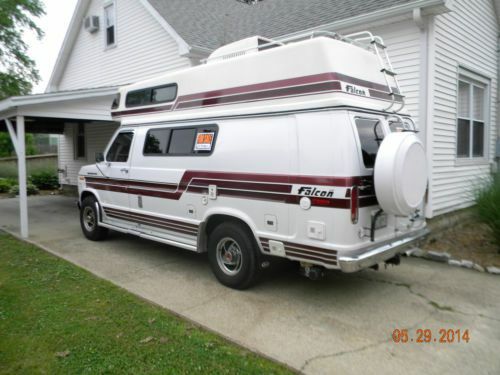 With a bit of modular creativity, owners can pack travel utilities (bedding, cookware, leisure) Tetris style into the front or rear and still have all of the required space for two, three, maybe even four motorcycles. 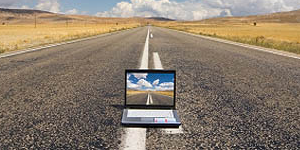 This concept converts our intended message into something far more journey driven. See parts of the world you’re unfamiliar with. Ride motorcycles. Repeat. 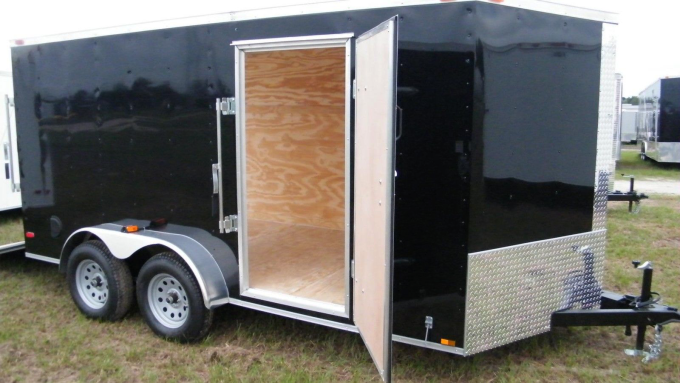 Diamond Cargo, a Georgia based company, sells some of the highest caliber rolling enclosures on the market. Among the basic features which set them apart from the competition are a smaller price tag and 1×1.5 inch square bar frames (most use 1×1). 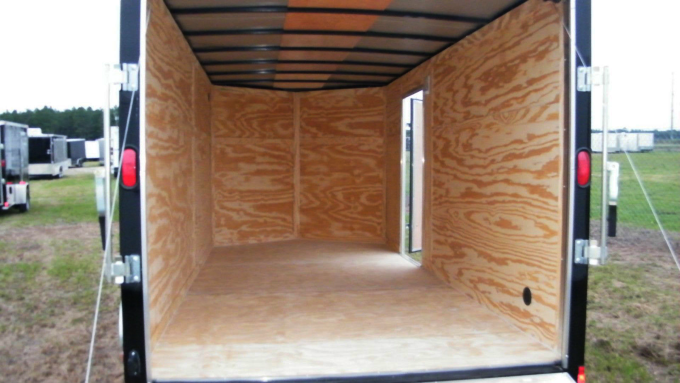 Optional add-ons include insulation, heat/air, storage, panel flooring and interior LED lights. 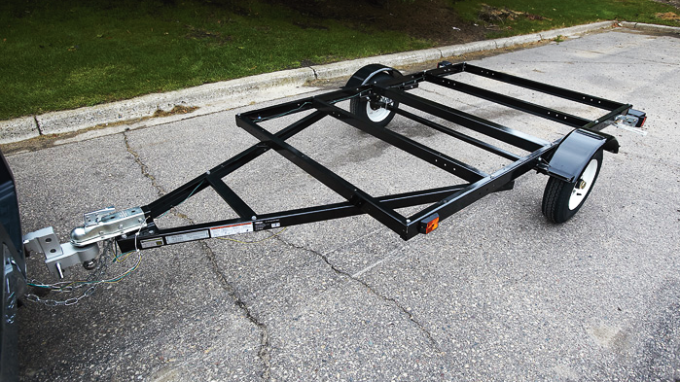 Purchasing a new motorcycle trailer from Diamond Cargo nullifies any unexpected repair costs that might present themselves after buying a used one. What’s more, they offer doorstep delivery to fifty states! Whatever your budget, Diamond Cargo has a trailer to suit and post-purchase upgrades are always possible via their manufacturing, third party resources or DIY templates. This next prospect actually raises the price a little. 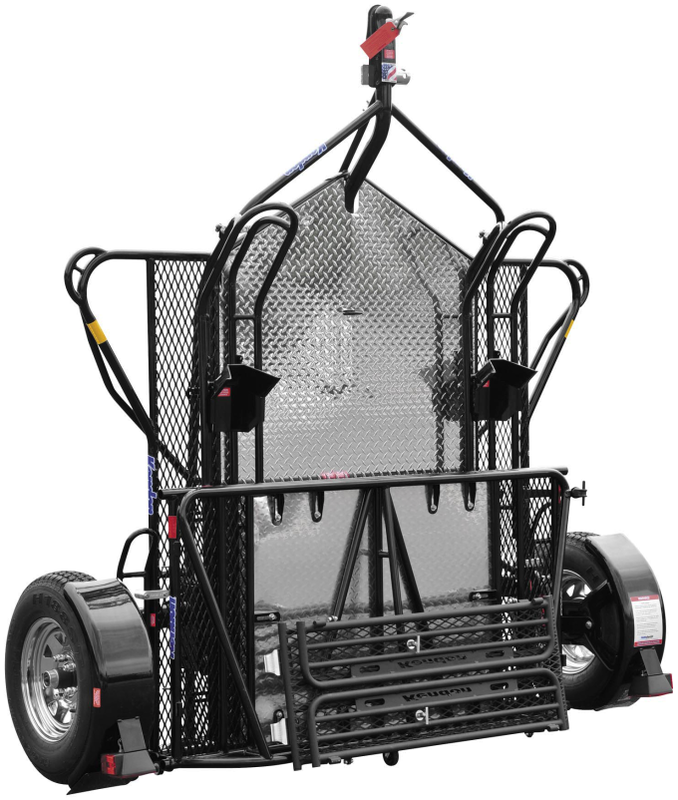 Regardless of square feet, no rider wants their “every so often” motorcycle trailer to occupy valuable garage/storage/work space. 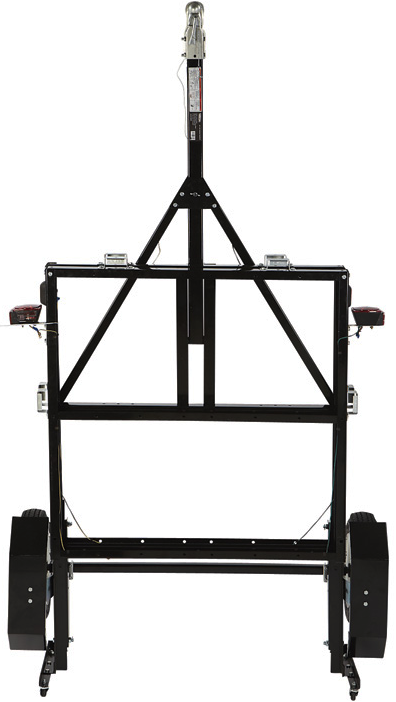 Kendon’s answer comes in the form of an ultra-robust and foldable stand-up trailer. 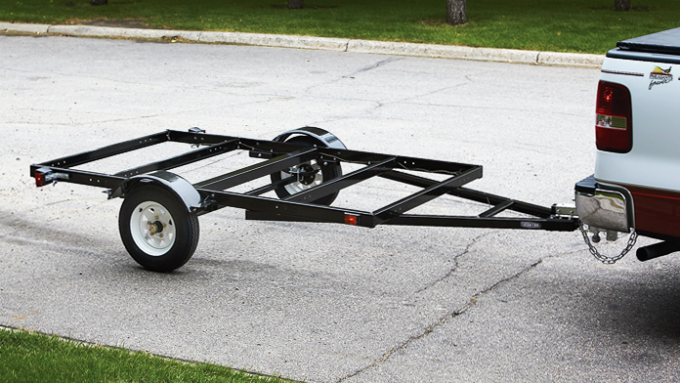 There's certainly more to purchasing a motorcycle trailer than simply measuring a motorbike's dimensions and shelling out the funds. 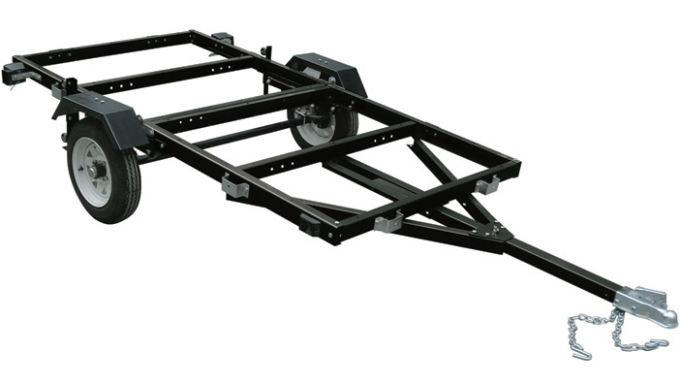 The lightweight design of their fully balanced chassis amounts to simple mobility courtesy of industrial grade rolling casters. An all American company, said chassis is hand crafted in house using domestic parts. 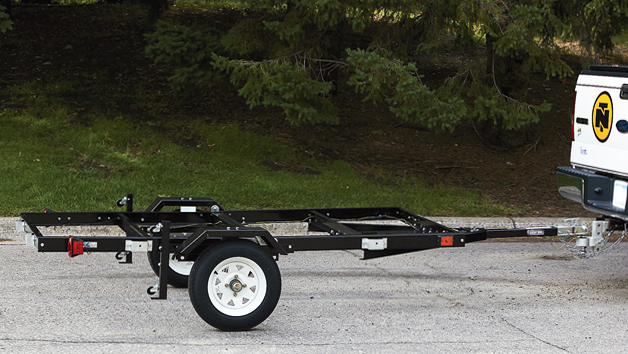 Single, dual and triple rail models are readily available, sporting full size tires and an independent suspension! 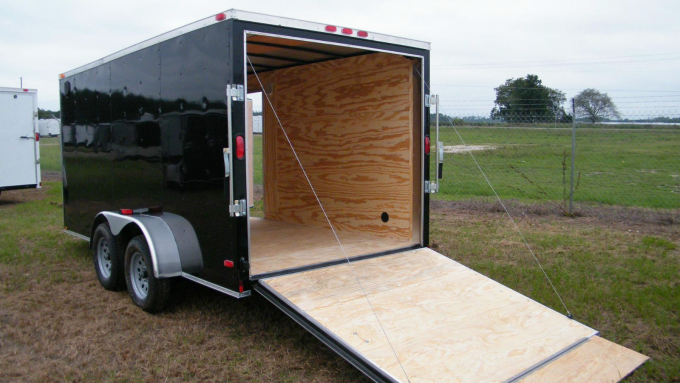 While this stand up trailer comes at a more lavish cost than others, it’s “Grade A” construction more than makes up for it. 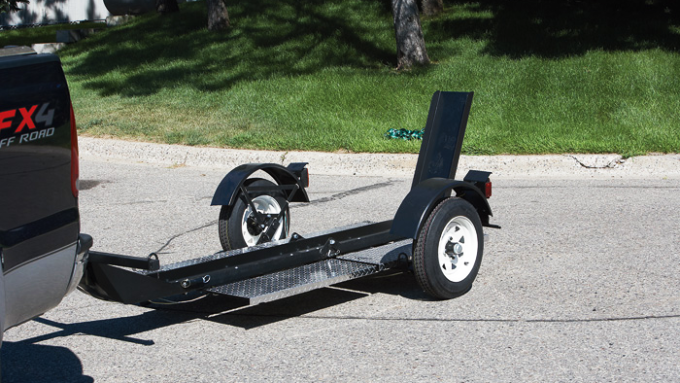 Buy this folding motorcycle trailer and you’ll likely never have to shop for another one again. 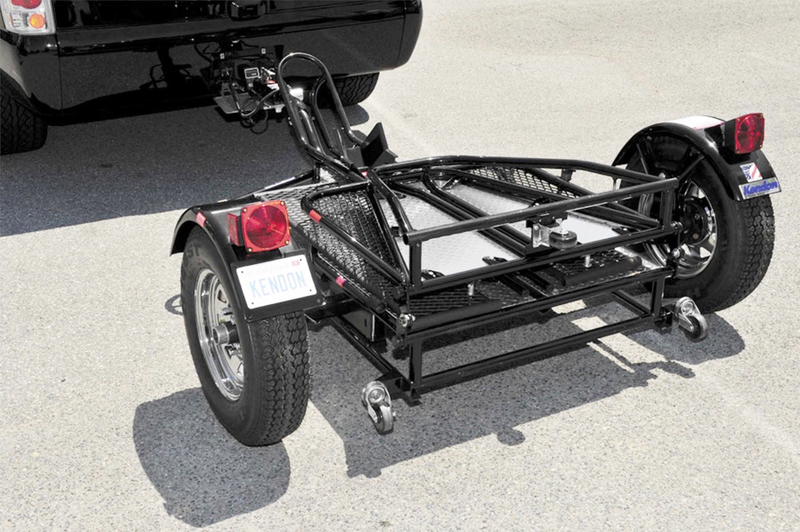 Backed by an array of warranties targeted at individual components, it’s obvious that Kendon’s folding standup motorcycle trailer is worth more than it’s weight in trust. Leveling the financial playing field, Northern Tool offers three trailers that are go-to favorites among motorcyclists. 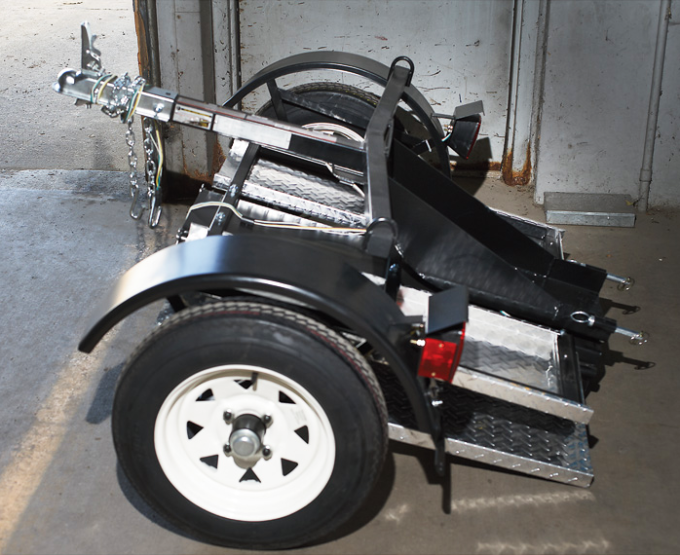 For individual motorbikes, their collapsable single-rail trailer is motorcycle specific, providing reliable transport in ultra compact form. Their 4×8 folding and 5×8 heavy duty trailers each offer enough space for two or more motorcycles plus additional functionality. 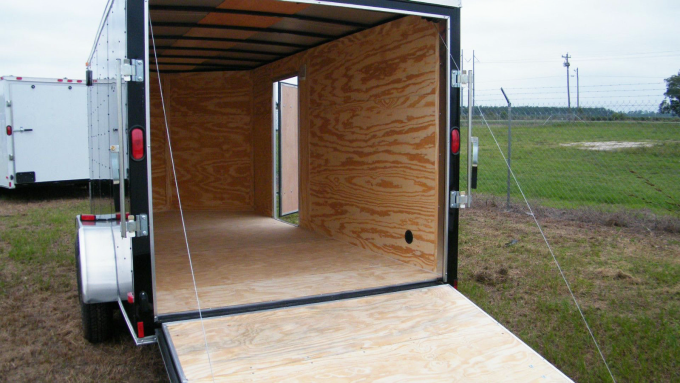 With bare-bones trailers such as these, some assembly is required. What you’re really buying is a frame on wheels that acts as an open canvas for home-built projects. Ingredients for motorcycle use include plywood sheets, bolt on wheel chocks and tie down anchors. For three motorcycles, especially if any are of the sport touring genre, Northern Tool’s static (non-foldable) 1980 lb. 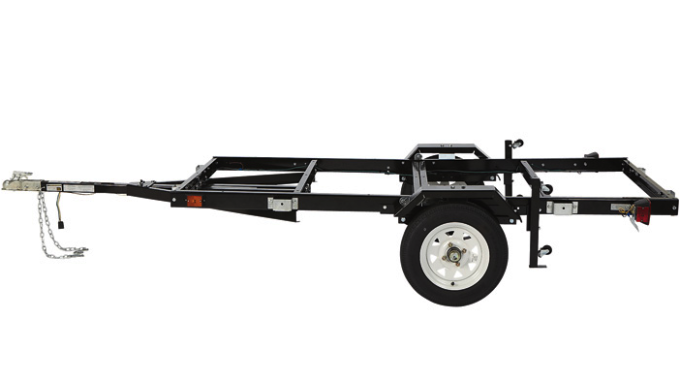 capacity heavy duty trailer is the way to go. Because it’s footprint is less compact, balancing it vertically in a corner may require some rigging. Either way, it’s a perfectly viable and cost effective option for regular use and out-of-the-way storage. 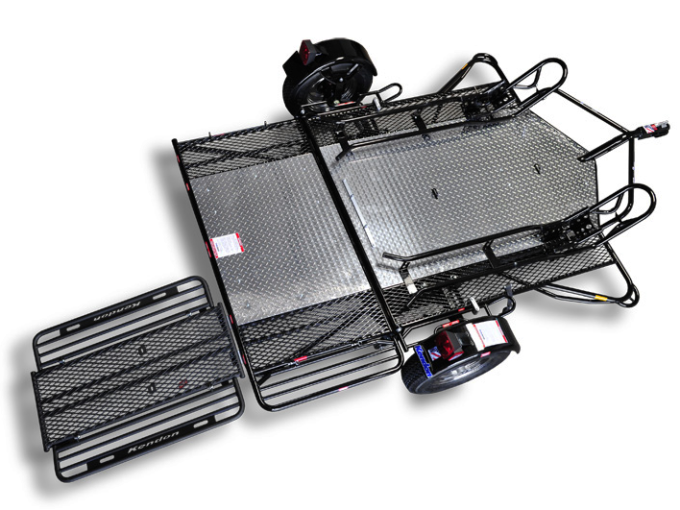 If you own a vehicular power house with enough torque and suspension to buffer 400-600 lbs in rear leverage, a hitch mounted motorcycle carrier might be for you. Like a rear bicycle rack on steroids, these suspend your motorcycle along a vehicle’s rear base (perpendicular to the direction of travel) and speak volumes to why pickup trucks remain the ultimate workhorse. Even with a sport touring motorcycle, their heavy-duty steel construction does the job with confidence. 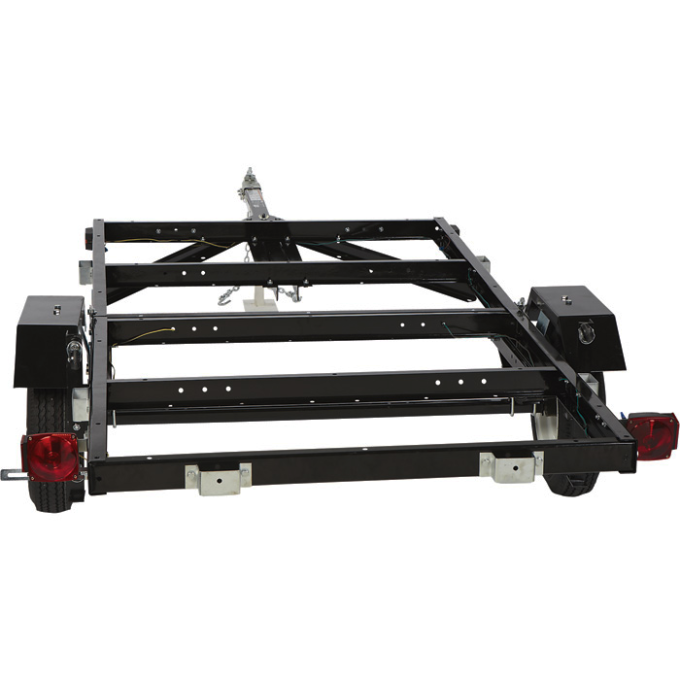 The carrier’s strength is reinforced on installation, secured at two additional locations of the towing vehicles undercarriage. 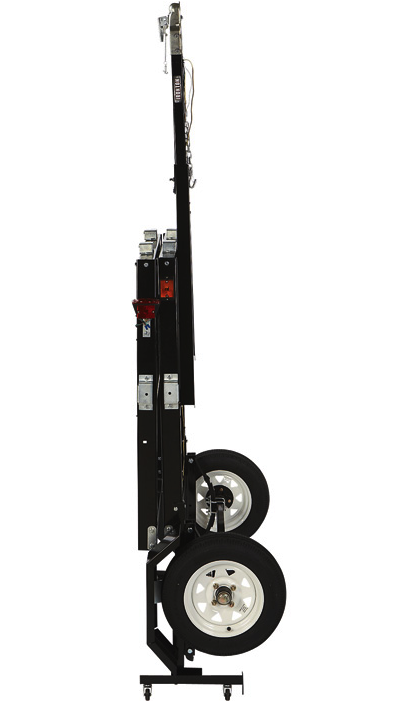 An easily stowed, fully integrated 72″ ramp makes for simple loading/unloading. 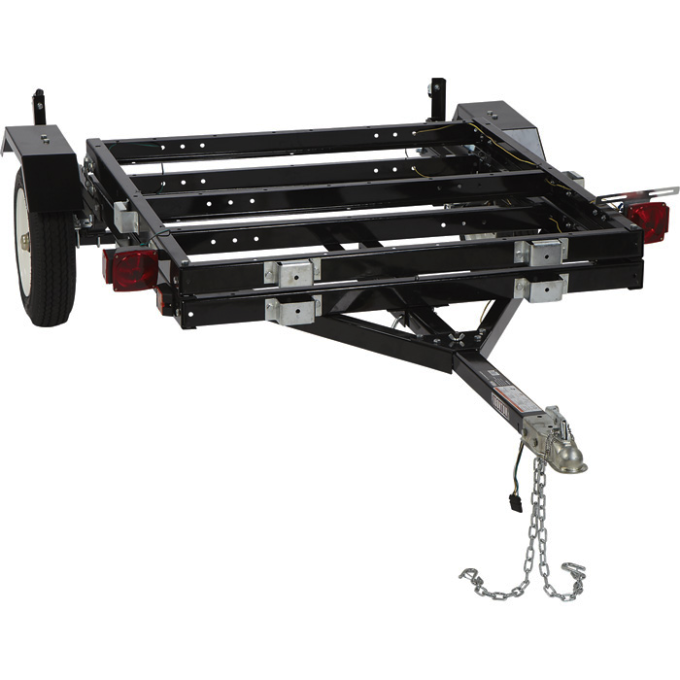 Their built-in adjustable wheel chock compliments four tie-down anchors. 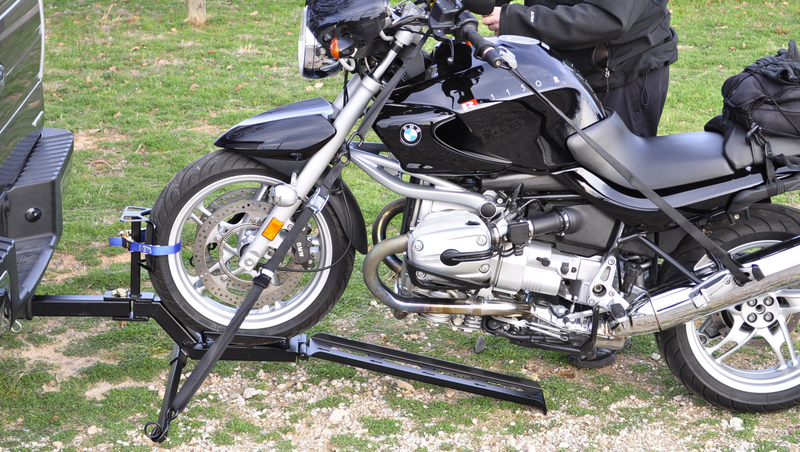 Hitch mounted motorcycle carriers require a class III or class IV 2″ receiver, depending. Without a motorbike onboard, it’s dimensions are 78.75″ long x 8″ wide. Because much of it’s construction is aluminium alloy, it’s total weight is under 100 lbs, making it an extremely lightweight solution. Perks: It doesn’t get any more simple and compact than this! 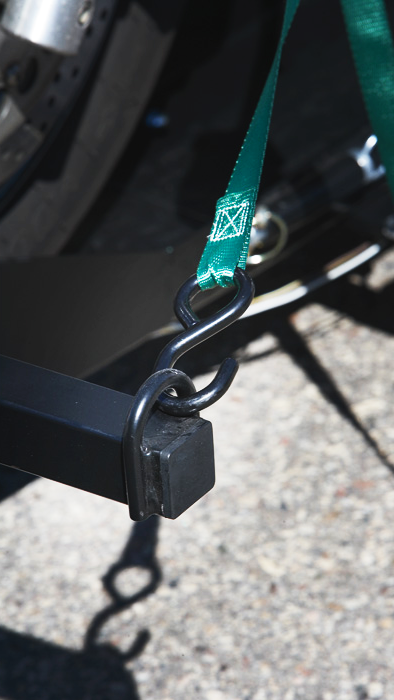 For those on a budget, front wheel motorcycle tow brackets represent the ultimate in rare use and emergency accessories. Assuming your tow receiver is ready and waiting, getting your motorcycle to and from a nearby point “b” is merely a matter of rolling the front wheel onto a spoon shaped chock. 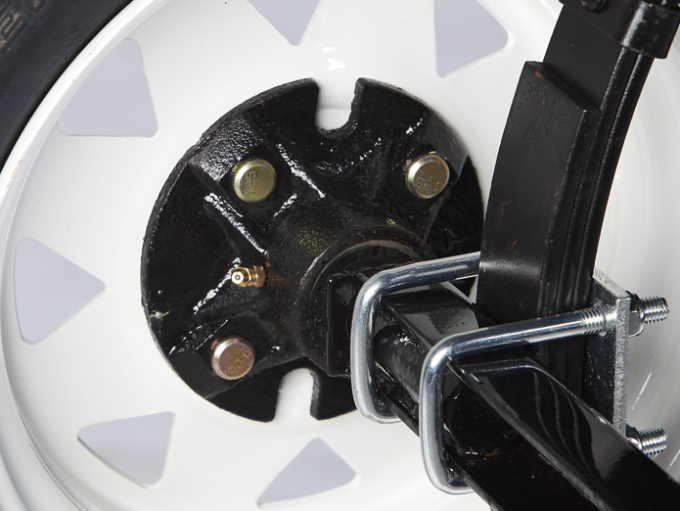 A strong, powder coated steel construction accommodates most (manual shift) motorcycle wheel diameters and widths but that’s something you should measure before you buy. 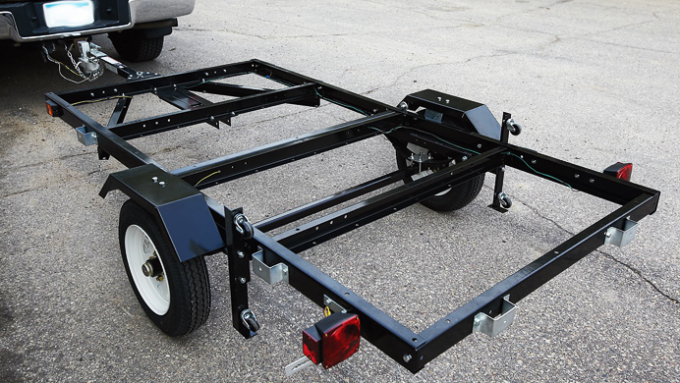 Any current trailer owner will tell you that having the ability to limp a motorcycle for a few (or several) miles without preparing/connecting an entire trailer is convenient. Who knows? With a big enough bike, one of these might fit into your motorcycle’s hard luggage if fully dismantled. With a maximum capacity of 800 lbs, these little guys provide plenty of bang for the buck. 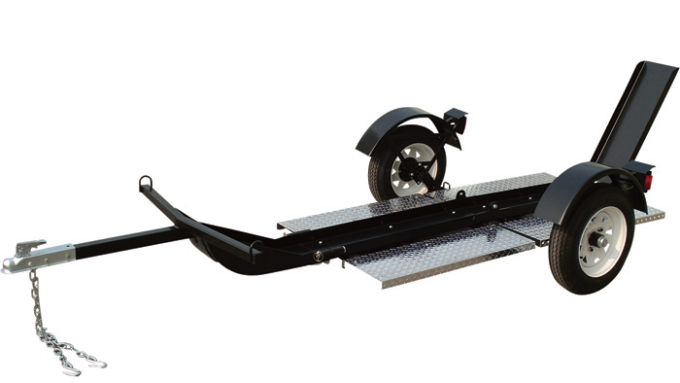 A 2×2 inch class II or class III hitch receiver is all that’s required. While it’s intended more for smaller vehicles and lesser distances, it’s performance makes it well worth buying. One humorously revisited argument among fellow riders debates the correlation between leaky fork seals and trailering a bike. Where some would suggest the notion of induced damage to be a total farce, others attest to “living the myth” on multiple occasions. Either way, there’s no harm in ordering yourself a tie down brace should you fear the latter. Looking through our top picks, I have to say that my own personal preference would be to own an enclosed motorcycle trailer. The reason for my decision has more to do with it’s multipurpose possibilities than anything else. Imagine fully customizing an 8.5×28 foot enclosed cargo trailer to act 25% as a garage and 75% as an insulated, climate controlled fifth wheel RV! This imaginative modular mindset makes migratory motorcycling a year round possibility (say that five times fast). 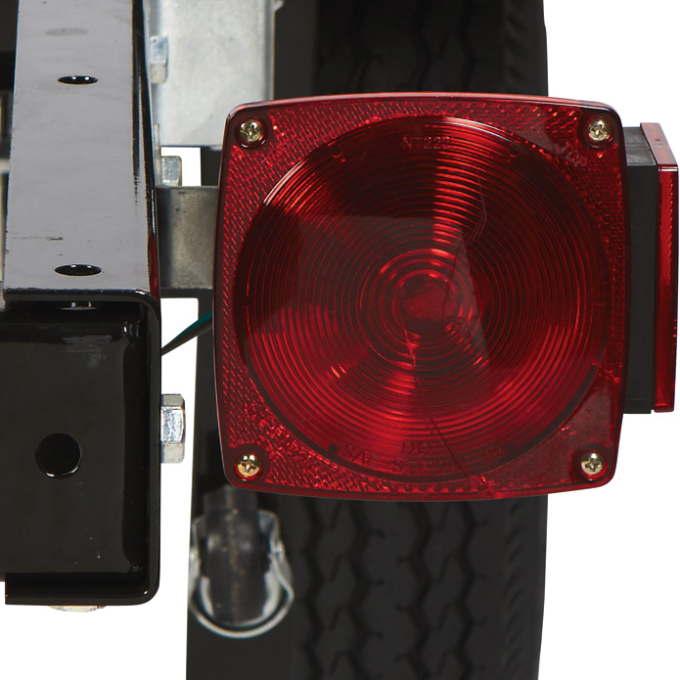 If your motorcycle trailer purchase comes from the info presented above, take satisfaction in your investment. For those unfortunate situations where riding to your starting point is too much of an inconvenience, your ride can ride in style. 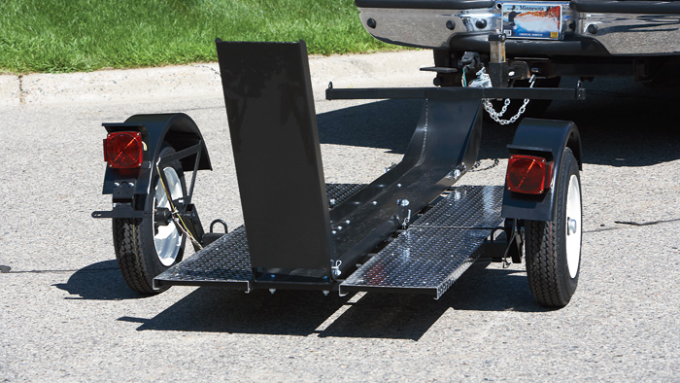 What Motorcycle Trailers Do You Use? 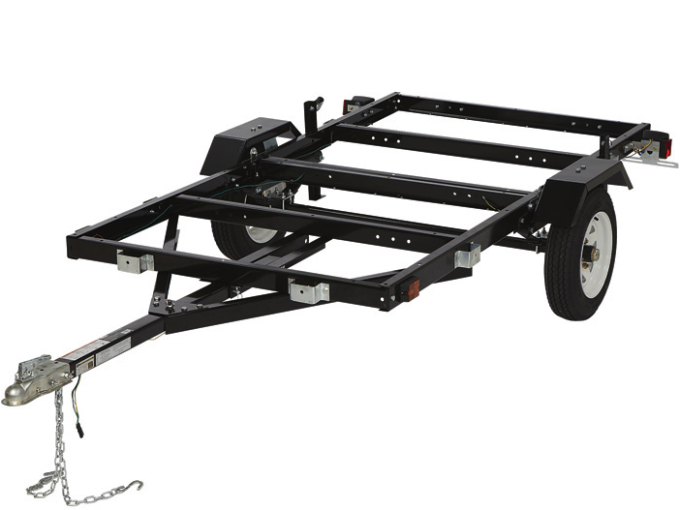 There are many motorcycle trailers on the market. Which ones have you tried? What do you like about yours and why? Your input is invited. Post an article! I’m delivering a motorcycle to my brother about 700 miles away and didn’t want to strap it to my waste hauling trailer. 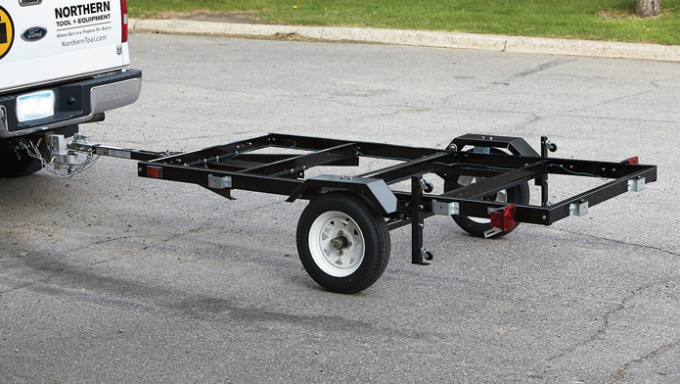 I really like the idea of having a folding trailer as I think it would suit my needs perfectly and isn’t terribly expensive. I will definitely keep my eye out. Thanks for sharing! @William – First I want to say I’m impressed that your car has a towing capacity of 1000 lbs. When you suggested it being your tow vehicle, I immediately looked that up. The Rebel 250 is a pretty lightweight machine. If it were me, I’d buy a tow ball connection that’s both compatible with your car’s insert and the Northern Tool single rail. If you get me the specifics on your car’s insert, I might be able to do a bit of digging around the web for said tow ball. 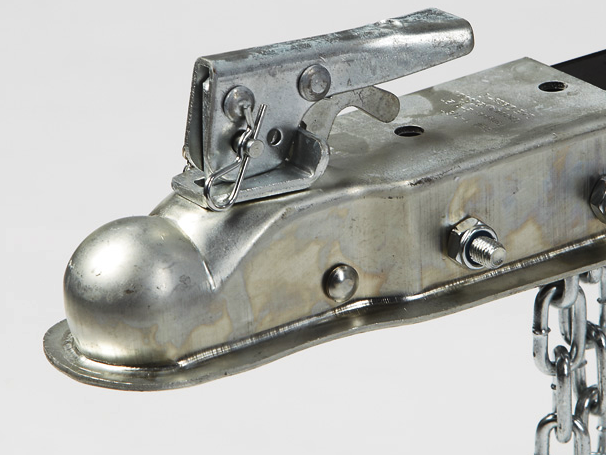 Tongue weight represents the absolute-vertical weight capacity of your vehicle’s tow connector at the bumper. Let’s say it’s 500 lbs (again, get an exact figure). Now imagine a 500 lb motorcycle hanging directly over the tow ball outlet. This is basically the maximum capacity that your vehicle is designed to handle in terms of “at the bumper” downforce plus or minus any shift in said weight while driving over bumps or hills (or bumpy hills). It’s all about flexing metal and suspension travel. Attaching “one-component-to-another-component-to-a-vehicle” raises the issue of some pretty crazy geometry. That geometry can get risky pretty fast, so refer to each individual element’s manual before (not) stacking your connections. There’s no harm in contacting the manufacturer either, assuming they’re willing to discuss the concept. As I’ll mention again later in this response, don’t gamble. Get your math in order and consider the figures. Whether your van is seemingly mint or rusty, you’re dealing with whatever OEM and upgraded engine, chassis and wheel parts are currently in operation amongst others that are 25+ years old. My point is that you should ask yourself: how does this vehicle feel in terms of performance when it’s not towing anything at all? If the answer is “pretty good” then I’d say that’s enough to begin looking at just how much leveraged weight keeps it running/performing well enough without any obvious strain. 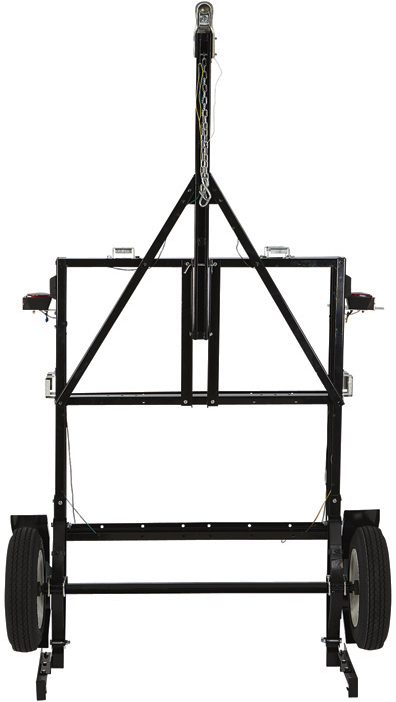 Adding the heavier of the two items closer to the chassis helps – BUT – leverage is leverage. Once you’ve validated the weight capacity as “safe” and even before mentally processing the vehicle’s mid-drive “happiness” (step 2, see above), consider how far everything is going to stick out from the back and eyeball the leverage it places on your rear wheel’s suspension. The farther out it sticks, the more it’s going to demand of your chassis and shocks + the tongue weight will changing, shifting up/down quite a lot, in bumpier areas. It might also compress the rear end substantially, giving rise to the front wheels and making the van’s overall handling bizarre. In short … test, test and test. Then, test some more. Safety first! “If it were me” (LOL), I’d go with a well-balanced trailer. In many cases, pulling is easier than carrying. A trailer that’s been properly loaded will be mostly (if not completely) balanced. You can test the tongue weight after the fact, in favor of safer travel. 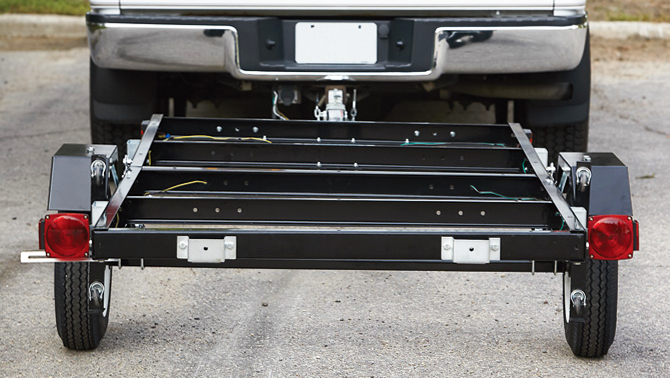 IMPORTANT: Placing more weight to the REAR of a tow-behind trailer creates FAR MORE INSTABILITY (dangerous) than the latter. Your best bet, should you decide to “tow” instead of “load” (versa haul), would be to keep heavier items toward the front (effects tongue weight) if not aiming for that “perfect” balance toward the middle/center (more ideal). Anyone have any recommendations for someone with two 150cc scooters, which I would like to tow behind an RV? 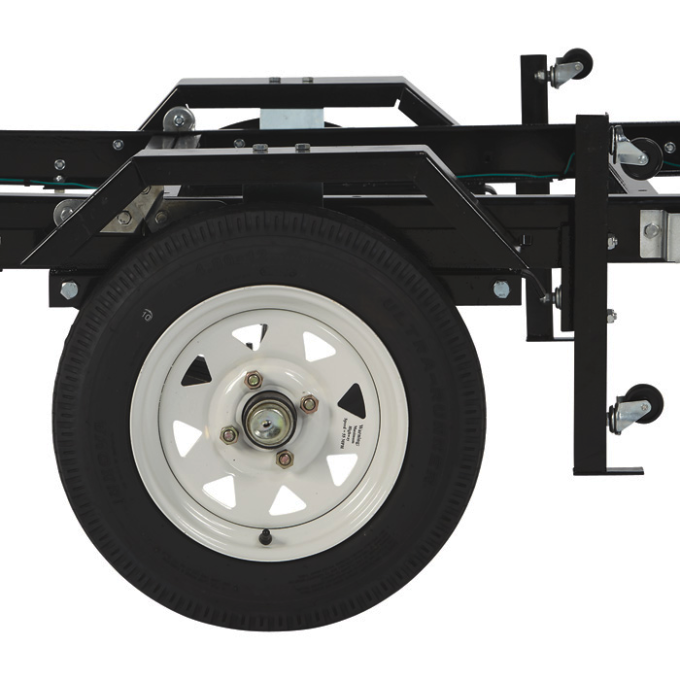 With the front wheel tow bracket, how far (and at what speed) can you travel? 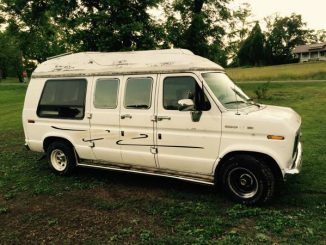 I own a ’04 ultra classic cruiser and am interested in this. That depends purely on which cradle you buy. A lot of specs are listed on reseller pages as well as manufacturing websites. A bit of data mining (Google) and you’ll narrow your search to suit. How much does that bike weigh?